Nutritionally balanced milk drink NRICH is going football-crazy this year, having re-signed as associate sponsor of the prestigious Inner City World Cup and Celebrity Soccer Six football tournaments. The Inner City World Cup 2015 will be taking place over three days from the 23rd – 25th May 2015, at Hackney Marshes London. Local and community teams from across the UK, representing more than 20 nations including England, Iran, Nigeria, Sierra Leone, Brazil, Romania, Spain and Portugal, will battle it out for the champion’s title. The tournament will form part of the Love Football Festival and will feature a wide range of footballing activities for all abilities and age-groups. Celebrating its 20th anniversary this year, the event has been lauded for bringing people of all ethnicities, communities, and age groups together to celebrate and enjoy sport. And this year the event is set to be bigger than ever, with added music, entertainment and foods from around the world for visitors and participants to enjoy. 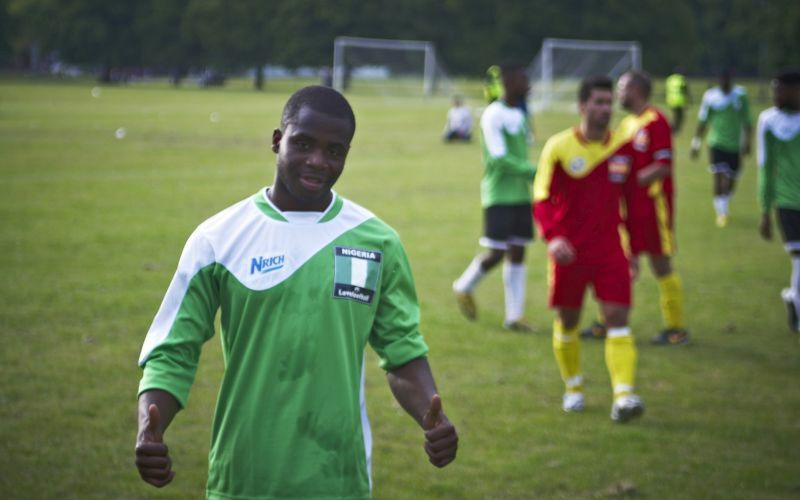 Soccer Six is one of the world’s largest celebrity football events and is also marking its 20th anniversary this year. Celebrities from across the entertainment spectrum including music, sport and TV are being confirmed daily, to make this year’s event bigger than ever. Since its inception, Soccer Six has enlisted legendary stars including Blur, Oasis, Kasabian, McFly, The Wanted, Rod Stewart and Olly Murs to battle it out on the pitch. This year’s event is returning to Charlton Athletic Football Club on Sunday the 31st of May. Visit www.nrich.info or email info@nrich.info for more information. Tickets to Soccer Six are on sale and available at www.cup.uk.com.